1. Dr Maurice Rawlings, Specialist Cardiologist at the Diagnostic Centre of Chattanooga, Tennessee, USA. 5. 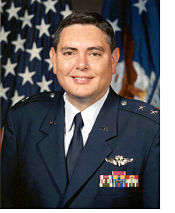 Dr James Winnery, Head of the US Air Force Aeronautical Research Unit, USA. 6. Dr Richard Kent, Retired General Practitioner, UK In addition Kevin Williams, NDE Researcher in the USA, is interviewed. “Everyone wants to know what is going to happen to him or her when they die, and life after death is what eleven million people with NDE’s have claimed. Those who have had clinical death say they experience no pain at the moment of death – they just got out of the body. Those who have had bad experiences say they are afraid of dying. They are afraid of the Hell they saw. There was one case of a blind man who, during his experience, could see perfectly well, and after the transition of death he could recall who was present, what they were doing, and even what they were wearing. But when he returned to his body, he returned to his blindness. Others report going from this world into another world through a tunnel or something similar, and seeing a beam of light, or an angel of light. People who have had car accidents often describe how they had their lives reviewed before the car crashed. It would seem possible to have a whole day’s review in one split second. They then go on to the next world where they meet people, their friends, who have already died, and describe strolling arm in arm across this beautiful Garden of Eden, or these pearly white gates, or golden streets. They then encounter a barrier beyond which they cannot go. Whether its because judgement is on the other side, and sorting out on this side, I don’t know, but usually at that barrier they are brought back into the world of pain, back where we are pushing on their chests or breaking their ribs, or defibrillating them with paddles. Whatever we are doing it is the world of pain, and they resent it because they didn’t want to come back if it was a good experience. That’s the sequence, like everybody having the same dream last night, without any collusion or having read the same books at all. Anoxia cannot reproduce this, drugs can’t reproduce this, hypercarbia and so on down the line, cannot reproduce this. “As the name “Near Death Experiences” implies, these people have some event in which they are severely physically compromised. Generally there is a severe physical malady which occurs very suddenly, or at the end of a chronic illness. Near Death Experiences are very frequently associated with the cessation of heart function or cessation of breathing function, and very often both. Given that 10 seconds after that the EEG (Electro Encephalogram), a measure of brain electrical activity, goes absolutely flat, it is medically inexplicable that Near Death Experiencers are having a conscious experience. There is so much more evidence behind something more going on with Near Death Experiences, something that is not medically explicable. There are blind people, including people that are blind from birth, that have Near Death Experiences. For most of them it is a visual experience. That is absolutely medically inexplicable. These are people who are blind, who, for their first experience in their life when they have had vision, and can see things in the world, was during their Near Death Experience. There is no other explanation for that. Time and time again we hear accounts of people who have had Near Death Experiences. Their consciousness separates from their body. So, from a vantage point of their consciousness apart from their body, they are able to see and hear what is going on around them whilst they are being resuscitated. Very often they can see incredible detail of the events going on around them. Of all the Near Death Experiencers that I have studied, that had their consciousness come apart from their bodies, and where they were seeing Earthly everyday events, essentially all of them, what they describe has been absolutely plausible. 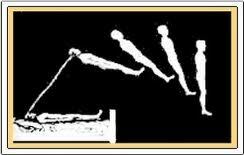 Of all the Near Death Experiencers I have seen, who actually went to sort out verification of what they saw whilst their consciousness was apart from their body, every single time, with only one exception, what they saw or heard was absolutely correct. There is no explanation for that, for consciousness apart from the body, at the time you are having a Cardio-Pulmonary Arrest. To people who think that Near Death Experiences are not legitimate, I would remind them that there are at least 12 to 15 million Americans who have had a Near Death Experience. This is such an enormous number of a shared experience that so greatly affects their life, that no matter what the cause of the Near Death Experience, no matter what your ideas of why it occurs, there is no question that, given the number of lives, that given the number of lives it has impacted, that it makes sense to study it. It is an incredible phenomenon, and the implications are enormous. Hallucinations tend to be very disordered experiences, and they are nothing like the highly ordered and structured experience you have with the Near Death Experience. On my web site I specifically ask the question “Was the experience dream like in any way?” I have actually recently done a formal study of that. Near Death Experiencers are emphatic when asked directly, and I did, “Was the experience dream like in any way?” The answer is a resounding “No, it is not close at all to a dream”. Dreams tend to bounce around a little bit, they tend not to have order or structure, and very often a dream will end before reaching a logical conclusion in the sequence of events. Not so with Near Death Experiences. They are highly structured, highly ordered, they tend to have a very logical initial part of the experience, and at the end of a very orderly and structured experience, there is a very orderly and structured end of the experience, and that is when the experience ends. Near Death Experiences are nothing like dreams. According to Dr Morse, the NDE is “the last experiences that we will all experience, as documented by 15 years of mainstream scientific research”. Young children have been studied in detail by Dr Melvine Morse of the Seattle Children’s Hospital. He says that in the process of dying, the dying person has a complete return to consciousness. Furthermore they have an acute awareness of what is going on around them, even if they appear to be comatose, and have an expanded sense of consciousness which extends beyond their own body. Dr Morse states that when we die, we are alert, conscious, aware of this reality, and perceive another reality superimposed over this one. In the case of the children he has personally researched, these NDE’s occur at the point of death. Dr Melvine Morse says, on the free movie THE FINAL FRONTIER, viewable on this web site, “The Near Death Experience is in fact the dying experience. We will all have this experience when we die. The interpretation of the experience is in dispute. Nevertheless, it is a scientific fact, not a belief system, that we will all have this experience when we die. There have been three major studies of Near Death Experiences in the last fifteen years, and all three of these studies document that these experiences are real, and that they will happen to us when we die. So the old ideas that these experiences are caused by a lack of oxygen to the brain, or hallucinations caused by chaos in the brain at the point of death, or caused by the drugs that are given to patients that we resuscitate when they are dying, those ideas were of course respectable scientific theories, but turned out to not be true. In fact, Near Death Experiences are the dying experience, and that is a scientific fact, not an opinion”. In the movie, Dr Morse describes the experiences of an 8 year old boy who he personally resuscitated in the lobby of his hospital, following cardiac arrest. After the resuscitation, the boy described the attending doctors as “sucking me back into my body”. The boy went on to describe that he was on the ceiling of the lobby, surrounded by a white light, and noted the early baldness of one of the doctors. Dr Morse also describes another boy who experienced an NDE in a drowning experience. The boy explained that he was drowning, when “hands reached into my body, and pulled me out of my body”. According to Dr Morse these experiences have been experienced by a large number of children in his care. The children’s experiences would not have been influenced by pre-existing Biblical conceptions of life after death because of their young ages. “In terms of the consistency of the testimonies in Near Death Experiences, it suggests that the experience is a reality which is not purely the product of brain chemicals.We know from the studies of the effects of drugs, ordinarily, if you give one person a drug, and then give the same drug to another person, there are two completely different experiences. There might be broad similarities, but not the level of consistency you find with the Near Death Experience”. Dr James Winnery, Head of the US Air Force Aeronautical Research Unit, has made come up with some fascinating insights related to loss of consciousness. Dr Winnery works specifically with fighter pilots exposed to acceleration stresses up to 9G. His job is to put protective measures in place, in order to protect pilots against gravitational stress, and to ensure their safety. In the course of his work he uses sophisticated equipment intended to simulate high gravitational stresses, as are commonly experienced by fighter pilots. He says that individual’s accounts of NDE’s should be listened to very closely, because their stories are very accurate, as demonstrated by his experiments on pilots. “When we die we take that Heaven and Hell with us, and we fit where we belong. We die the life we live”. 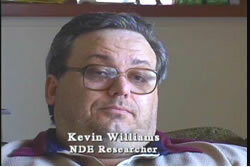 NDE’s have also been study extensively by IANDS, the International Association for Near Death Studies, founded in 1980. Numerous studies have been made on patients who experienced Out Of Body Experiences whilst undergoing life saving surgery. They discovered that those patients who had experienced Out Of Body Experiences gave startlingly accurate descriptions of what the surgery or treatment entailed, including giving precise details of data readouts on the electrical equipment during the operation. Because of the phenomenon of NDE’s the concept of extended consciousness beyond clinical death had moved beyond religious belief to verifiable scientific fact. There has also been a study of people who have had cardiac arrests or heart attacks. About 15% of them experienced NDE’s. This group of people were studied for up to seven years in prospective or controlled studies. They were found to be a very different group from those who did not experience NDE’s. They tended to have a more spiritual belief system, a much lower fear of death, a much less materialistic view of the world, and were much more interested in religion. In addition, their NDE’s changed their lives dramatically. The NDE experience is very common. The pattern of the NDE experience is very consistent, and its continued effect on people is profound. For this reason alone NDE’s are something that change the lives of a great number of people in a major way. Research proves that NDE’s are legitimate. It is estimated that between 12 and 15 million Americans have had NDE experiences. This is such an enormous number of shared experiences, that there is no question that it makes sense to study it. It is an incredible phenomenon, and the implications for life after death are enormous. 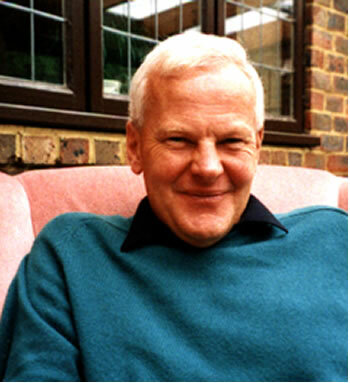 Dr Richard Kent decided as soon as he interviewed his first patients about their NDE experiences that these accounts could not be caused by hallucinations, drugs, alteration in the normal brain perfusion of oxygen or carbon dioxide, or any similar alteration of normal brain physiology. 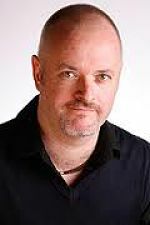 Richard had worked as an anaesthetist in a busy teaching hospital, and also in general practice. He was familiar with NDE accounts following cardiac arrest following life threatening illness or injury. Richard believes that the NDE accounts had certain qualities that singled them out as actual events: – NDE patients’ accounts of their experiences never altered. – The NDE accounts had great correlation with other patients’ accounts of NDE’s, even though the patients had never met. – The NDE accounts had great correlation with Biblical teaching and descriptions. – Patients who had experienced NDE’s usually regarded this event as the most important event in their entire lives. This is certainly not true of hallucinations. Patients who have had NDE’s very frequently changed their lifestyles radically, often at considerable personal cost, both financially and in loss of peer esteem. – For example, Shahid Siraj Din of Pakistan gave up his highly lucrative business as a property developer, and became a Christian evangelist, on no income at all. – Frequently these life style changes have meant rejection by former family and friends, who simply do not understand the new passion for spiritual matters. – NDE patients typically lose interest in the pursuit of material possessions in this life. – NDE patients typically review every aspect of their lives, and alter their circumstances to suit their new deeper understanding of spiritual truths. – NDE patients typically become much more spiritual in their general view of life. – NDE patients frequently find themselves in a dilemma. They very much want to share their experiences with family, friends, and work colleagues, but on the other hand are very aware of the rejection that this so often brings. – NDE patients very frequently become very private about their experience, and have frequently said to Dr Kent how relieved they are to be able to talk about their experience without feeling rejected. Richard was also deeply impressed by a book written by H.A. 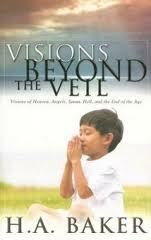 Baker, “Visions Beyond the Veil” in which children record their own NDE experiences. These children were far too young to have the Biblical knowledge necessary for the details they provided about Heaven. Finally Richard was himself deeply affected by the NDE accounts, although he has never had one himself. He too found himself both rejecting the materialistic atheistic world around him, and also being rejected by the world! In summary, Richard believes that the NDE phenomenon holds the very clear message that life after death is a reality. Richard believes that life after death is a reality, mainly because of the Bible, but also because of the abundant scientific research, and the experiences of those who have witnessed Heaven and Hell through their own NDE experiences.